For some people, their first instinct upon discovering a plumbing problem in the home is to try to fix it themselves. While that sounds laudable, did you know that in Victoria, the vast majority of DIY plumbing work is illegal? Victorian law is clear – if you want to perform any work or repairs on your home’s plumbing, you need to call for professional help. Of course, that raises another question: how do you know whether your plumber really knows what they’re doing? They might claim to fix your plumbing problems but in reality, choosing the wrong plumber can make things worse! 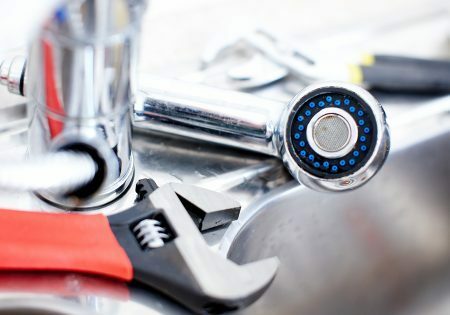 This week, Watermaster Plumbing will run through the reasons you should only hire a licensed plumber when it comes to installation, repair, or replacement. Let’s firstly take a quick look at how a plumber in Victoria obtains their license. How do you know your plumber is licensed? You wouldn’t get into a car driven by an unlicensed driver. So why should you trust your plumbing problems to someone who doesn’t hold the right license? 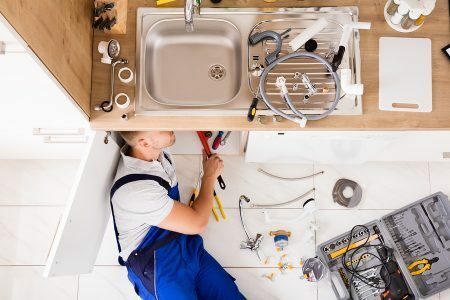 Before a plumber can work in Melbourne (or any part of Victoria for that matter), they should be licensed and registered by the Victoria Building Authority (VBA). Not all plumbers are fully licensed, however. Continuing the car metaphor, if licensed plumbers are the equivalent of a driver on their full license, then registered plumbers and plumbers in training are still on their P- and L-plates. While they can look at your plumbing problems, they must be supervised by a licensed plumber. Before you engage any plumber, be sure to ask for their license. Each licensed plumber is issued a photo ID by the VBA outlining their certification and what types of services they’re qualified to carry out. Why must you hire a licensed plumber? Essentially, the license is a guarantee that this plumber has the requisite training and experience to address and solve your plumbing problems. To obtain a license, plumbers must sit a comprehensive examination covering a range of plumbing work. Licensed plumbers also need to be fully-insured, protecting you from potential damage. In addition to passing all the necessary requirements to become a licensed plumber, there are several other reasons why you should always engage a licensed professional do the job. Professional plumbers have the right tools at their disposal, ready to tackle and plumbing problems they face. From blocked drains to sewer backup, a qualified plumber plus the right tools are a winning combination. Gee that running toilet is annoying. So, you take matters into your own hands, tinkering around with your own tool kit, and while you’re not entirely sure what you’re doing, the dripping has stopped! You’ve successfully fixed your own plumbing problem. But can you confidently say that you’ve addressed the root of the problem, too? While on the surface the issue looks solved, there’s no telling whether the cause has been addressed. That’s because your home plumbing is a complex system – a seemingly straightforward leak might just be a symptom of a deeper problem. And if you don’t have a complete understanding of your plumbing, you might be doing little more than addressing the symptoms. Licensed plumbers approach your plumbing problem quite differently. Professional plumbers don’t just look into the symptoms – we also look for the source of the problems. It’s the only way to make sure your plumbing issues are solved for good! One factor that a lot of self-styled plumbers forget to account for when planning a bit of DIY is time. Plumbing can take a while depending on your problem – you could potentially waste days trying to solve a problem that a plumber could resolve in hours. Plumbers spend years studying, training, working as apprentices, and learning on the job before they can apply for their license. Why not take advantage of all that knowledge and experience? Save yourself the hassle by calling a licensed plumber to investigate and solve your plumbing problems. Do you know the building code requirements? Are you risking your safety by messing with gas? Do you know how to use tools and equipment properly? Are you working beyond your skill-set? Some plumbing jobs require the highest safety measures. That’s why it’s best to leave everything to a professional and licensed plumber – they’ll know what measures to take. Another thing few DIY-plumbers consider is insurance. Licensed plumbers are required by the VBA to be fully-insured just in case things go wrong. Very few home insurance policies cover damage resulting from DIY work – if you do your plumbing by yourself, you could be paying for damage out of your own pocket – ouch. Looking for a licensed Melbourne plumber? Before putting on your DIY hat, think about whether calling a licensed plumber is a better course of action. While it might slightly dent your ego, it can save you a whole bunch of problems further down the line! Finding a licensed Melbourne plumber shouldn’t be a challenge – all you have to do is call Watermaster Plumbing. For more than 20 years, our experienced and fully-licensed plumbers have provided comprehensive, high-quality plumbing services all across Melbourne. From St Kilda to Frankston, you can trust our team with all your residential, commercial and emergency plumbing. If you need a qualified plumber in Melbourne, get in touch with Sam and the team at Watermaster. Call now on 1300 156 650 or fill in this form and we will get back to you.